And on the seventh day he rested, for lo, he was full of pork and beer and good cheer. Maybe I’m paraphrasing here, but if you’re in the Dallas area, this could be you next Sunday, after a week of beer-inspired food paired with some carefully selected Avery beers. Monday (Oct 18) at the Libertine with a food pairing with Avery Salvation (a Belgian-style golden ale), followed by Tuesday at The Common Table where Avery Salvation will again be paired with a beer-inspired menu. On Wednesday The Meddlesome Moth offers flights of The Demons Series (Avery’s The Beast, Sameal, and Mephistophles) and Avery’s 17th Anniversary Black Lager. Return to The Libertine on Thursday for The Trinity Series (Avery Salvation, Reverend, and Hog Heaven barley wine). Save some room in your hollow leg for Friday at The Common Table, when The Dictators Series (Maharaja Imperial IPA, Czar Imperial Russian Stout, and Kaiser Imperial Oktoberfest) promises to blow your mind. Saturday’s final event at The Meddlesome Moth features, again, Avery Salvation. Looking at the schedule, every day is tempting, but I certainly wouldn’t miss Friday, as those are some of my Avery favorite beers. Of course, I’ll miss them all, because I’m in New Jersey, but I find the idea inspiring. Why? Well, things aren’t easy for craft beer fans in Dallas – many folks there love good beer, but distribution and state laws conspire to keep many desirable brews out of the Lonestar State. Seeing an event like this one shows that the will of the craft-beer-loving people is finding a way to bring attention to craft beer and to provide a week’s worth of tasty treats to local beer nerds. It’s also a chance for folks new to “big” craft beers to get turned onto them. It’s certainly a step in the right direction. It reminds me of what our pal Rick Boyd (the Beer God of Boise) is doing up in his neck of the woods – finding a way to spread the gospel of craft beer in challenging circumstances. Rick has started up an Internet beer business which allows him to also offer many impossible-to-get-in-Idaho beers at his real-world storefront. This has allowed guys like my brother to get a taste of beers they otherwise wouldn’t have access to. It also means that folks in the Boise area can come in and discover the wonderful world of craft beer. It’s an oasis of beer geekdom. These are just two examples of folks using their creativity and resourcefulness to spread the gospel of great beer, and I think it’s a very good sign for the future of the industry. I’m sure it will get to the point where craft beer is thriving everywhere, but in the meantime I get a thrill every time I see people who are passionate about good beer pushing the rock a little farther up the mountain. Very happy to see this in Dallas! They are the last of the big Texas cities to embrace craft beer. However, you shouldn’t overlook our efforts in Houston with the first ever Houston Beer Week (going on right now — Oct. 11-17th, 2010 ), and the Monsters Of Beer Festival which is a charity event featuring only Texas breweries. And, our pals in Austin who are about to have their first beer week. There are plenty of us in Texas who want to open the door to great craft beer! Thanks for helping to spread the word!! Very happy to see this in Dallas! They are the last of the big Texas cities to embrace craft beer. However, you shouldn’t overlook our efforts in Houston with the first ever Houston Beer Week (going on right now — Oct. 11-17th, 2010 http://www.houstonbeerweek.com), and the Monsters Of Beer Festival (www.monstersofbeer.com) which is a charity event featuring only Texas breweries. And, our pals in Austin who are about to have their first beer week. There are plenty of us in Texas who want to open the door to great craft beer! Thanks for helping to spread the word!! Thanks for the info, Cathy. I added your comment to the original post just in case any Texas beer nerds wander onto the site. I think you’re doing okay in Washington, Tex. At least beer-wise. Yeah, but you know, nostalgia plays a factor. That, and Texas is starting to have a small boom in craft beer. Thanks for your Dallas feature! It’s great that we’ve been getting these kind of events lately. I hope this is a trend that continues to grow. Meddlesome Moth has been a godsend for beer nerds like myself. You know you’re in a good beer place when the two guys sitting at the bar are wearing Dark Lord and Sexual Chocolate t-shirts. It’s been open for less than a year, but it’s already changed the craftbeer landscape in Dallas for the better. 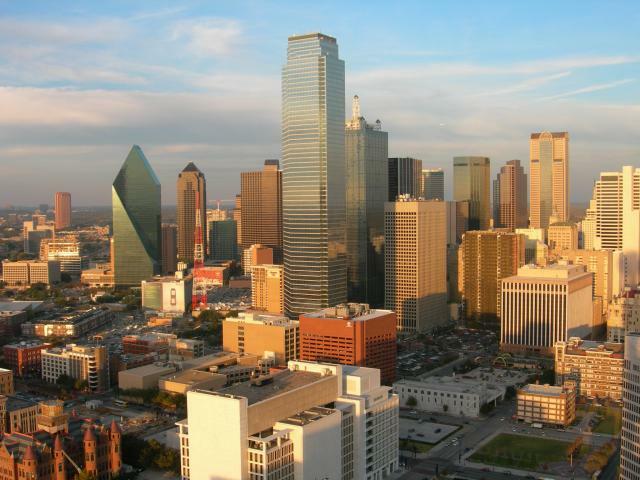 DFW is a huge market with a lot of potential for craftbeer growth. We just need more people like Keith from the moth to spread the awareness. I think you’re the person I was thinking of when I wrote this piece. I’m happy that I got into craft beer early enough to watch it grow, and guys like Kieth, and Rick in Boise and lots of other folks are out there making it happen. If there’s a will, there’s a way, and people WILL get themselves some tasty craft beers!